This could only happen in Sin City, opines The Sleuth. A soon-to-be-completed attraction located just a few minutes from the Las Vegas, Nev., strip will provide the opportunity to test-drive a variety of exotic German Italian, and North American high performance cars on a Formula One-racing-inspired road course. Speedvegas is a 100-acre facility that will begin siphoning dollars that would otherwise be spent in the city’s casinos beginning in early 2016. 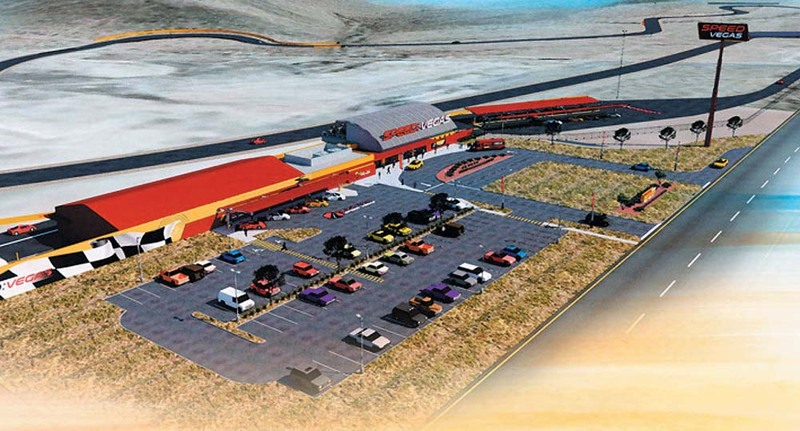 The facility will be competing with the Richard Petty Driving Experience located at the Las Vegas Motor Speedway as well as Dream Racing (also located at LVMS). The latter offers exotic-car road-course adventures that sound similar to Speedvegas’s offerings. These facilities seem like a lot more fun than risking the rent or mortgage money playing slots, the craps table or blackjack. Racing adventures provide thrills that golfing just can’t, so they’re becoming popular for corporate getaways while being bucket-list check-off items for others. The return of the Barracuda?